Des Moines, Wash. – Last weekend, over 60 leaders from the Alaska, Oregon-Idaho (OR-ID), and Pacific Northwest (PNW) Conferences gathered to continue conversations on how they could marshal resources toward vital mission and ministry across the Greater Northwest Area. The Vitality Stewards Summit 2.0, as the name suggests, was the second formal gathering aimed toward this task, expanding the circle of those who met in September of 2018. Greater Northwest Area Bishop Elaine JW Stanovsky addresses “stewards” providing necessary context to the conversations that would follow. This call for more diverse leadership echoed throughout the meeting. Eric Walker helps to orient Vitality Stewards Summit attendees to some of the opportunity and challenges to ministry in the Greater Northwest context. Developing a good understanding of vitality work across the area. Creating the first draft of Area-wide funding criteria. Arriving at a basic agreement on the kinds of projects that would excite Area-wide funding. Sparking movement towards a culture of Area-wide collaboration. Walker offered a big picture look at the challenges and opportunities facing the Area as it seeks to have more churches engaged in vital ministry. Sharing that a significant number of churches are in some stage of decline, he framed the goal of innovation and vitality work across the area as bending bad trajectories toward more positive possibilities. Throughout the Summit, the Rev. Shalom Agtarap offered moments of spiritual grounding and pause to aid in conversation and community formation. Rev. Dr. William Gibson followed Walker by sharing some of the learnings of the Innovation Vitality Team (IV Team). After one year together, the team has landed upon the understanding that Inclusion, Innovation, and Multiplication are crucial practices, and measures, of church vitality. More recently, they have begun to understand inclusion as foundational to the success of the other two practices. Kristina Gonzalez offers a quick overview of Intercultural Competency, an essential tool for change in the Church and the world. Barber shared how some of his work, specifically internships and revivals, had embodied these principles of inclusion in making deliberate connections between the Church, persons of color, and younger people. Some of the participants in the first cohort of interns are now being tracked to provide leadership in local churches. The Rev. Lisa Talbott shares a report back from her table group as leaders works to identify evaluative measures for funding. The afternoon continued with reports from several District Superintendents and, separately, the lay leaders of each Conference. Erin Martin, chief missional strategist for the Columbia District, has been asking her district to consider what it would mean “to envision ourselves as a community of United Methodist Congregations.” A success story she shared involved the arrival of the Rev. Alan Buck, a gifted Native American church planter from Oklahoma, who is helping to revitalize Wilshire UMC, recently renamed Great Spirit UMC. He shared how funds from recent church closures were being reinvested in other churches to provide multi-ethnic leadership teams toward the goal of fostering multi-ethnic communities. Lang named Valley and Mountain, soon to give birth to a third iteration, as an example of excellent ministry incarnating inclusion and innovation, leading to multiplication. District Superintendents (from left) Erin Martin, Rich Lang, and Mary Huycke engage in a dialogue with Eric Walker after sharing perspectives from their work. A number of the churches in her district are very small. Helping some of those churches to end their ministries gracefully, while finding creative ways to extend the life of others with alternative leadership structures, is a portion of the work. A lack of diversity, and inclusive practice, is a challenge many are wrestling against. The three Area Lay Leaders, (from left) Jo Anne Hayden, Jan Nelson, and Nancy Tam Davis, each speak to the value of including and equipping and lay persons. Jo Anne Hayden, lay leader in the Alaska Conference, named some of the same concerns. On a conference-level, there are efforts to train local church leaders underway through Zoom with hopes to expand the number of groups soon. Conference Treasurers Brant Henshaw (AK, PNW) and Rev. Dan Wilson-Fey offer some financial insights. The second day began with a presentation by the Area treasurers detailing some of the resources available for vitality work and some of their other projections. Currently, expenses for shared work are split between conferences – PNW (54%), OR-ID (40), and AK (6%) based on conference size and budgets. Disaster response leaders in the OR-ID and PNW Conferences shared how they have been collaborating because it makes sense. Jim Truitt began serving in March as Disaster Response Coordinator for the Greater Northwest Area, leading a pilot program building upon years of collaboration between leaders in OR-ID, PNW and Alaska. Truitt, along with Kathy Bryson (PNW) and Dan Moesler (OR-ID) shared with the group how clear common goals, shared practices, and trainings have made collaboration work for them. Programs like “Connecting Neighbors” embody some of the vitality practices of developing intentional partnerships beyond the Church. Jim Truitt, Disaster Response Coordinator for the Greater Northwest Area, shares his part of an update on collaboration between leaders in the Alaska, Oregon-Idaho, and Pacific Northwest Conferences. Next up was a presentation by Revs. Karen Hernandez and Gregg Sealey, and layperson Lynn Egli. As superintendents of mostly rural districts, Hernandez and Sealey shared their excitement for the Rural Church Engagement Initiative’s promise to translate Asset Based Community Development (ABCD) training for a rural context. Egli, described as the “Energizer Bunny behind all of this,” helped to explain how he has applied his background as a CPA for Hewlett Packard to the design and implementation of the pilot program. “We have to be demanding, to expect performance,” he shared. “It’s going to be tough for local leaders to put together a team.” He expects to learn from the pilot, and adapt subsequent iterations based on that learning. Lynn Egli, helps to present the Rural Church Engagement Initiative with the Revs. Karen Hernandez and Gregg Sealey. Three cohorts (including 14 pastors and local church teams) of the Rural Church Engagement Initiative are already meeting together monthly, sharing learnings and support for each other. Representatives of Committees on Native American Ministries (CONAM) offered the final presentation on shared ministry and collaboration across the Area. Duane Medicine Crow (OR-ID) shared a desire to do more. Sharing when “we get money, we give it away,” he talked about a recent project supporting a Nez Perce intern at Wallowa Lake Camp. Rev. Charley Brower offering some historical context on Christian missionary outreach to Native American populations in Alaska. Rev. Charley Brower (AK) offered some historical context on Christian missionary outreach to Native American populations in Alaska and how some denominational decisions years ago continue to impact the mission field today. Finally, Kristina Gonzalez shared how the PNW was inviting a Native American developer from OR-ID to evaluate three ministries in the conference which have been struggling. Much of the remaining time was spent in small group exercises to determine how leaders might collaborate together on projects besides the IV Team and how those projects might be funded. Rev. Mary Huycke and Kristina Gonzalez helped to surface some evaluative measures after small groups had defined individual lists of priorities. The next step was the hearing of “pitches” from several individuals who had submitted Concept Notes. Rev. Dr. Leroy Barber of the Greater Northwest IV Team delivers a pitch for Multicultural Hubs. A Dreamworks and FailFest proposal designed to encourage bold innovation by Rev. Overton-Harris. Before a concluding conversation, Eric Walker presented five possible ways to fund Area-wide projects: Tithe, Syndicate, CrowdSource, Pathways, and Pledge. Some of the approaches were familiar to existing practices while others have shown potential outside of the Church. Falisha Hola, Conference Council on Youth Ministries president for the PNW Conference, shares some comments during a final conversation. In a final conversation with Bishop Stanovsky, several participants expressed feelings of being stuck. They named the need to be bolder than we have been in embracing a future together. Other comments were made to remind the group that too few of those named at the outset—younger people, people of color, and LGBTQ+ people—were present in the room. A date was set for another gathering in September with the explicit goal that at least 50 percent of those in attendance will be young, people of color, and/or LGBTQ+. She asked leaders to covenant together to invite these new voices into meaningful decision-making. The GNW Innovation Vitality Team is offering a special pre-conference session on Thursday, April 25, the day before the two-day main conference. Clergy or lay people interested in planting new churches and bringing new vitality to existing ministry are encouraged to attend. Pre-conference attendees will learn from Melvin Bray, an Emmy® award-winning storyteller, social entrepreneur and author. Bray is the author of a United Methodist Women Reading Program 2019 book pick, “BETTER: Waking Up to Who We Could Be.” Melvin will help participants examine the role of various forms of power in moving from critical analysis to better practices. 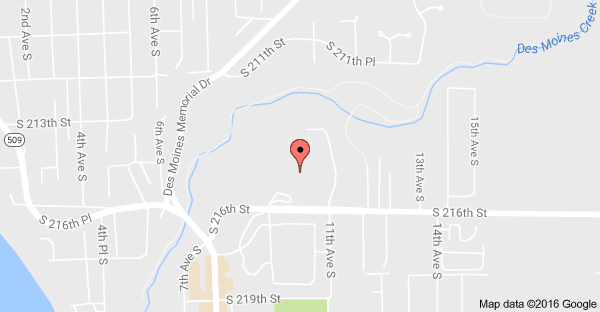 The pre-conference will be held at Seattle’s First United Methodist Church, April 25 from 9 am. to 4 p.m. As a bonus, the first 25 registered for the United Methodist day will receive free admission to the two-day Inhabit event. The Greater Northwest Area’s sponsorship of the Inhabit Conference provides this opportunity along with all costs of the pre-conference except for a modest $10 registration fee which includes lunch on Thursday. Across the northwest, rooms filled with ordinary people are putting their trust again in an extraordinary God! This video provides a snapshot of the ‘Love Thy Neighbor’ Ordinary Revivals as they crossed the Greater Northwest last summer, seeking to inspire new connections between faithful people and the communities they live in. These revivals remind us that God is indeed at work outside the church and that there is strength in diverse communities that keep their hearts open to cries for justice. Keep your eyes open for information on revivals coming to Boise (ID), Anchorage (AK) and Tri-Cities (WA) in the spring of 2019. 2. Martyn Percy, “How to Win Congregations and Influence Them: An Anatomy of the Church Growth Movement,” Modern Churchman, 34 (1992): 25. Don’t you think it’s about time to embrace innovation, for a change? Actually, what we sometimes forget is that innovation is about change. Culture is always emerging — the ever-ticking clock ticks — and it would be an understatement to say the church doesn’t do well to keep up. “The times they are a-changin’,” — always — to reference the poetic genius of Bob Dylan. If you can stomach it, simply look at your news feed for glimpses of the upside-down world of “alternative facts,” “fake news,” and the minute by minute, widening political and theological divide. No misunderstandings intended here; I am not inferring that the church is suppose to become culture… What I am saying is that we — as the church — have been slow to engage culture, move beyond think-out-of-the-box conversations, and actually do more that would accurately reflect innovative ways to influence culture. In our current climate, we’ve got to shift beyond carving out “safe space” and now create more “courageous space,” to riff off one of my ministry team partners, Kristina Gonzalez. So, what does it mean to be innovative? One of the most influential books I read as a young, rookie business entrepreneur was Peter Drucker’s Innovation and Entrepreneurship: Practice and Principles (Harper & Row, Publishers, Inc. 1985). In the opening chapters, Drucker explained that entrepreneurs can’t help but be innovative. Entrepreneurs innovate. Period. From Drucker’s perspective, innovation wasn’t a technical activity. It was economic or social. In other words, innovation was wonderfully nuanced by the emotional temperament of humanity. It engaged the deep recesses of our creativity (both producers and consumers), which was often suppressed by sensibility and certainty. Over the years, the church has tried to embody innovation through the business phrase “best practices.” For the business world, “best practices” were about maintaining quality and establishing benchmarks. In the church, however, we’ve had a tendency to see “best practices” as program options that will ensure our success. If they worked in that church, then surely they will work in our church. A tempting argument. The problem — as I have alluded — is that the church is not as adaptive as Corporate America. We don’t like change. We are drawn into it kicking and screaming. Or, at the very least, we are so guarded that our fear of change keeps us from operating out of the box. “Following in the footsteps of others is the fastest way to irrelevancy. Instead, create your own path. Find new and creative ways of staying ahead of the competition. Only through repeated, rapid, and efficient change can an organization survive and thrive in today’s volatile marketplace” (pp. 6). Neither Shapiro or myself are saying that we should ignore “best practices;” not at all. In fact, it is extremely important to understand what is working in a particular context and why it is working. There are always nuggets that may spark something that works in our setting. But… It’s a mistake to think that a “best practice” is a silver bullet answer for a declining church that lacks creativity and innovation. We’ve got to move beyond a “plug and play” approach to “best practices” and start focusing on what I call contextual problem solving. This is the more robust pathway toward creativity and innovation in ministry. Many argue that “best practices” for the church allow the church to at least do something. This is true. However, we want to move us from “at least doing something” to actually advancing the mission of the church; to make disciples for the transformation of the world. I desire to make a difference; to change the crazy world in which I find myself. My hope (and assumption) is that you do as well. I hope you’ll check out our web presence on the Greater Northwest Area website. You’ll learn more about the values undergirding our work and can find resources and ideas to spark movement in you and your mission fields; ideas that help shift your work toward being a contextual problem solver. If we are going to create new places for new people, especially considering our current political and theological climate, then we are going to have to embrace such a time as this. It’s time to innovate for change. insideout: What if we focused on abundance? Using the vivid example of creative problem solving featured in the movie Apollo 13, the Rev. Dr. William (Bill) Gibson offers a fresh look at the feeding of the multitudes in Matthew’s Gospel discovering a message for today’s church. Gibson argues that too often in the church, we allow our anxieties to shift our own thinking away from “what God is already up to” toward what he calls “the scarcity of the moment” to the detriment of what is possible. There is no question, that in what is emerging as a post-Christian America, that there are challenging times for the church. But it’s in these anxious moments when we’re trying to navigate a 21st-century landscape of how to do church differently that we become anxious; we talk about what we don’t have rather than what we do have. We say we don’t have enough money, we don’t have enough people, we don’t have the right facilities, it’s not possible. We get caught up in the scarcity of the moment rather than the abundance of God. 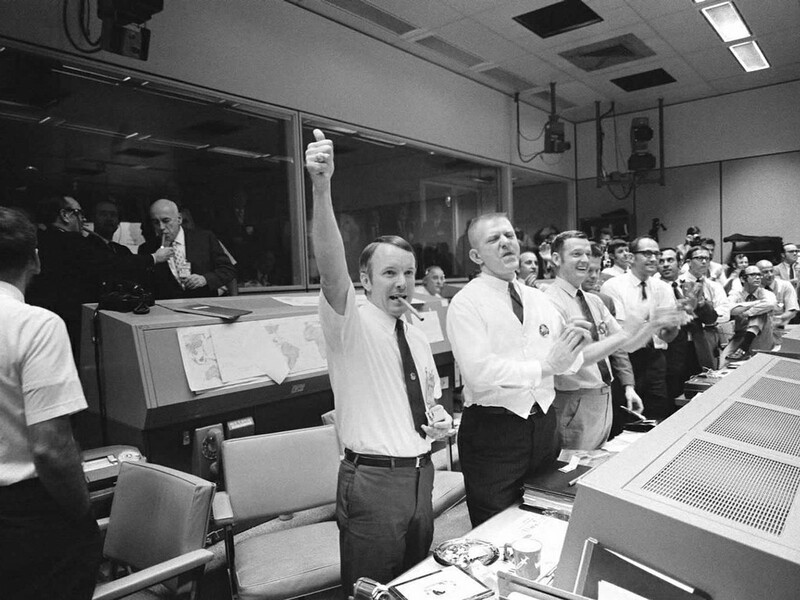 I’m reminded of this story – I don’t know if you remember this or not, Apollo 13. Now if you are a movie buff you probably seen the movie with Tom Hanks in it, right? This is a mission to the moon, and on the way to the moon they have this problem with the spacecraft. After the famous words, “Houston, we have a problem,” Gene Kranz gathers all the NASA engineers into this room to begin this problem-solving exercise. All this chaos ensues and everybody’s arguing about which problem should take priority. There’s just this lots of noise that it’s an engine issue, it’s an oxygen issue, it’s all these kinds of things. And finally Gene Kranz says, “cut it out! Just be quiet. Can we start with what on the spacecraft is working?” And once they turn their attention away from the problems and issues to the assets on the spacecraft they begin to problem solve in a way that became one of NASA’s greatest accomplishments. They brought three astronauts safely back to Earth. The same thing happens in the church. We get caught up; our anxiety drives us to begin to think about what’s not possible and it turns our attention away from the things we’ve been blessed with. Jesus, in that moment, recognizes a teaching opportunity. He says, “bring them here.” So Jesus essentially says bring me what you have and he takes what the disciples are offering and he blesses it and it multiplies enough to feed a multitude of people. Our anxiety causes us to turn our attention away from what God is already up to. It causes us to focus on the scarcity of the moment. What if we were to turn our attention to the abundance of God? What if we were to bring Jesus what we have? Rev. Dr. William D. Gibson serves as Director of Strategic Faith Community Development for the Greater Northwest Area of The United Methodist Church. This episode of insideout was e-filmed and edited by Rev. David Valera. Valera serves the Pacific Northwest Conference of The United Methodist Church as Director of Connectional Ministries. Over the last fifteen plus years, the Church has tried to embody innovation through the phrase best practices. In the business world, best practices were about maintaining quality and establishing benchmarks. In the Church, we’ve had a tendency to see best practices as a program option to ensure success. If they worked in that church, then surely they’ll work in our, right? But here is a major problem. The church is not as adaptive as corporate America. Often, by the time we implement a best practice, we are behind the curve in a world that is changing before our very eyes. In 2011, Stephen Shapiro wrote this valuable little book entitled Best Practices Are Stupid: 40 Ways to Out-Innovate the Competition. Now before you claim that I am hating on best practices let me offer some clarity. Neither Shapiro or myself through this video are saying that we should ignore best practices, not at all. It’s important for us to know what is working in a particular context, and why it works. But it’s a mistake to think that a best practice is a silver bullet answer for a declining church that lacks innovation and creativity. Rather than a plug and play approach, we should be focusing on contextual problem solving. Instead of trying something that will attract people in our doors, we need to step outside of our walls and engage in deep listening with real people, not just guessing what they want. Think about this. Jesus was innovative in how he talked. He engaged the cultural language while also, likely, having the ability to speak three languages: Aramaic, Hebrew and Greek. This allowed him to draw upon a number of cultural methods in order to convey his message. Jesus captured the attention of his populist audience through overstatement, hyperbole, pun, metaphor, proverb, paradox, poetry, irony, and the use of questions. Through these devices Jesus connected with people in very powerful and personal ways. He used every tool in his toolbox. He helped people to unlearn and relearn what they have been taught their entire lives. See the Sermon on the Mount. In fact, in Matthew Chapter 5, de demonstrates this unlearning and relearning activity by saying things like you have heard the law that says this, now I say this. I love verses 43 and 44. Jesus says, “You have heard the law that says ‘Love your neighbor and hate your enemy.’ But I say, love your enemies, pray for those who persecute you.” Now that’s a verse that some Christians just simply want to ignore. We sometimes forget that innovation is about change. The late Steve Jobs was famously quoted saying, “People don’t know what they want until you show it to them.” The next time that you’re tempted to plug-and-play a best practice, what if, instead, you learned from it? Then, stepped outside your doors, engaged the very people you want to reach, and listened carefully for what they don’t know they want. And then you show it to them. That is innovation. What if you simply showed them faith, hope, and love. Faith, hope, and the greatest of these, love. Have you ever experienced a tradition or activity that you thought was weird? Our tendency is to think that our perspective is the norm for society. In these moments, we are not acknowledging the lens through which we see the world. We are not taking into account the vast cultures and subcultures of our world, country, region, and neighborhoods. But this “weirdness” actually represents an inability or an unwillingness to realize that our way is not the only one. But you knew that; right? We have to be willing to see the world from a different perspective, while checking our own. Several years ago I was introduced to the teachings and work of Mikhail Bakhtin whose work connects our approach to intercultural competency. In other words, we have to be willing to intentionally look at the world around us from a completely different perspective while checking our own biases. In fact, that is what insideout represents for me. If you haven’t noticed, the “insideout” logo is backwards and that’s intentional. Think of the logo being printed on the outside of a t-shirt. And as you put that t-shirt on, you look outward through the front. The logo is going to appear backwards. You’re looking from the inside-out. It’s a reminder that we have to be aware of the lens through which we view the world — those voices and experiences that have shaped our identity — parents, grandparents, teachers, coaches, bosses, peers, enemies, etc. And we replay those voices over and over in our heads, don’t we? To acknowledge and teach through this, I use three simple moves, Those moves are: Discover, Claim, and Live. 1) Discover — which refers to an intentional move to intersect and engage culture — maybe one that seems weird, different or foreign to you. 2) Claim — which asks us to rediscover from Scripture; from the gospels, ways of understanding our world, while claiming Jesus’ example. And 3) Live — which challenges us to answer the “So, what?” question; a challenge to change and become a living example of Hope and Love to those around us. What if we intentionally looked from a different perspective in order intersect culture, elevate the gospel, and challenge to change? Special thanks to Rev. Craig and Sharon Parrish. Recovering Vision: Getting to why? Vision is the word I use to describe why a congregation exists. The big huge purpose of the church is making disciples of Jesus Christ for the transformation of the world. But that mission statement is a purpose bigger than any congregation can fulfill on its own. Vision is the particularization of the mission in a specific community of Christians at a specific time. It deals with two questions that have real, but constantly evolving answers. Who are the specific people we called to engage in the life of discipleship? What is the specific transformation we are called to bring now?